President of Real Deal Development Group, an Engineering and Land Planning company. Former Councilman for the City of St. Cloud, Board Member of the East Central Florida Regional Planning Council, Board Member of the Kissimmee/Osceola County Chamber of Commerce, and Assistant Director of Public Works for the City of Altamonte Springs. Involved with many civic organizations over the years. Appointed in December, 2009. Term ends September 30, 2021. President/Owner of Trumbull Bottled Water, Inc. Currently serves on the Bay County Planning Commission, Panama City Housing Authority, Bay Medical Board Foundation, and has just finished his term on the Bay County Chamber of Commerce. Also serves on the Board of Directors for Bay Bank and Trust and serves on several boards within his industry: Culligan Dealers of North America and on the Culligan Dealer Advisory Council. Appointed in March, 2011. Term ends September 30, 2019. President and CEO of Palm Beach North Chamber of Commerce in Palm Beach Gardens, Florida. Prior to joining the Chamber, Ms. Kigel was owner and president of BK Strategies, LLC, a government relations and business consulting firm. Ms. Kigel began her career as a corporate representative in the telecommunications industry focused almost exclusively on government solutions at the federal, state, county, and municipal levels. She has also served as a member of the Board of Directors of the Chamber of Commerce of the Palm Beaches, an Executive Committee member of the Economic Council of Palm Beach County, the 2012 Chair of the William T. Dwyer Awards for Excellence in Education, the Roger Dean Stadium Advisory Board and a member of the Forum Club of the Palm Beaches. Kigel has also served on the Palm Beach County Criminal Justice Commission, the Palm Beach County Sports Commission, and the Palm Beach County Groundwater and Natural Resources Protection Board. Ms. Kigel serves on the Leadership Florida Board of Directors, and was elected to the post of Chair-Elect for 2017-2018. Ms. Kigel also serves on the Board of Directors for the Florida Chamber of Commerce. In 2015, she was appointed to The World Congress on Intelligent Transportation Systems Board of Directors. Appointed in January, 2012. Term ends September 30, 2019. President of Browning Packing and Browning Consulting. 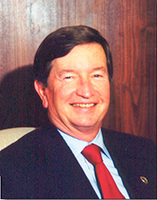 Browning previously served on the Florida Transportation Commission from 1987-2001. Appointed in June, 2013. Term ends September 30, 2019. Chief Operating Officer at Cigarette Racing Team of Opa-locka, Florida. Currently serves as President of End Homelessness Now, Inc., which seeks creative solutions to address homelessness in South Florida. With a long history of serving her community, Sarnoff is the recipient of the Presidential Volunteer Service Award, the Camillus House Bridge Builder Award and the Rickia Isaac Foundation ÃƒÂ¢Ã¢â€šÂ¬Ã…â€œNo Stray BulletsÃƒÂ¢Ã¢â€šÂ¬Ã‚Â Award. Appointed on December 18, 2015. Term ends September 30, 2019.